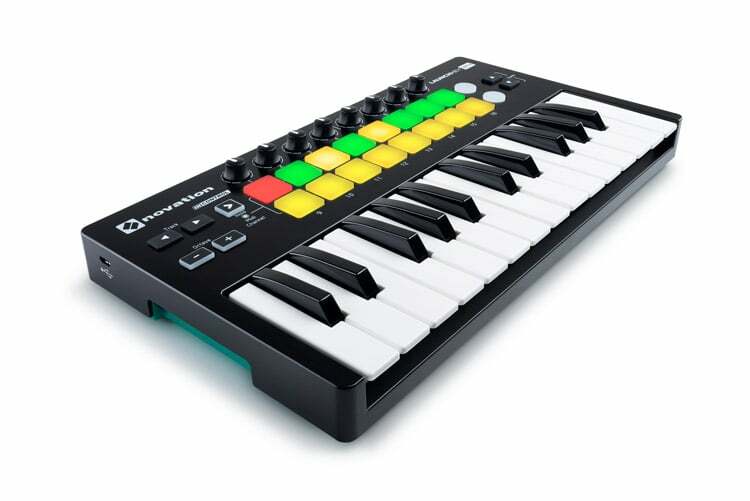 The Novation Launchkey Mini mk2 is a compact mini keyboard controller designed to make music creation fun, and easy. 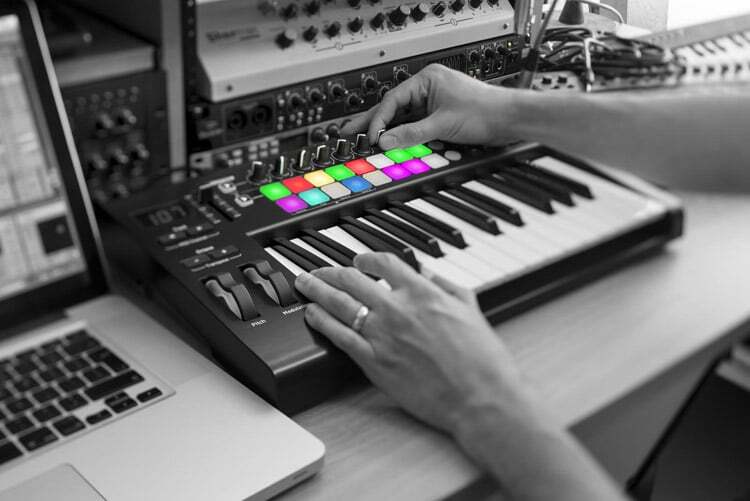 Going all out with this one, the Novation Launchkey Mini packs more functionality into less real estate than just about any other keyboard you can get your hands on. 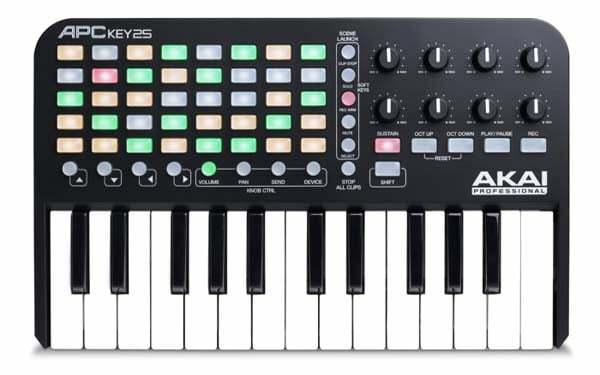 A set of 25 synth-action mini keys gives you two octaves to play with at a time, and you can use the 16 tri-color pads to trigger loops, launch samples, tap out drums, or even play instruments. 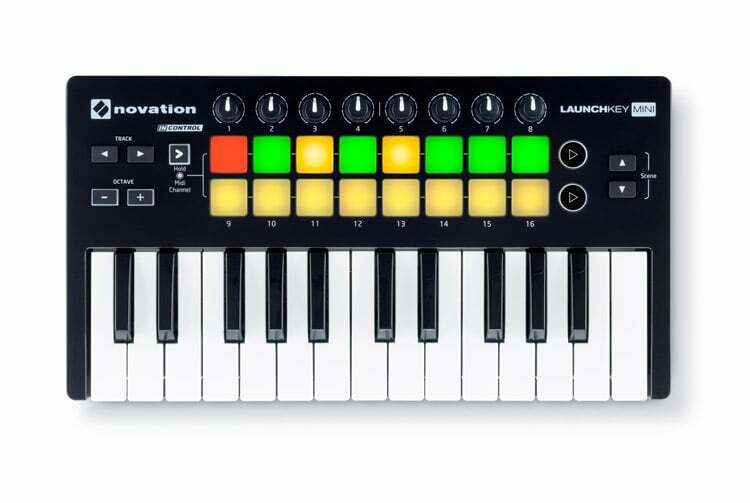 Novation worked in conjunction with Ableton Live to allow seamless integration meaning the Launchkey Mini’s controls integrate immediately and seamlessly with Ableton Live. 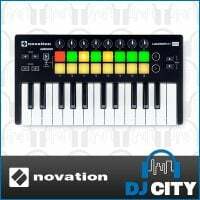 You literally plug and play your novation launchkey mini including with all 25 velocity sensitive mini keys, 16 trigger pads, and 8 high-quality knobs are pre-mapped for you. Use another major DAW? 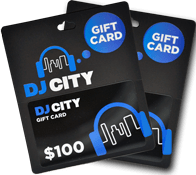 The Mini will instantly map to it via Novation’s InControl protocol. 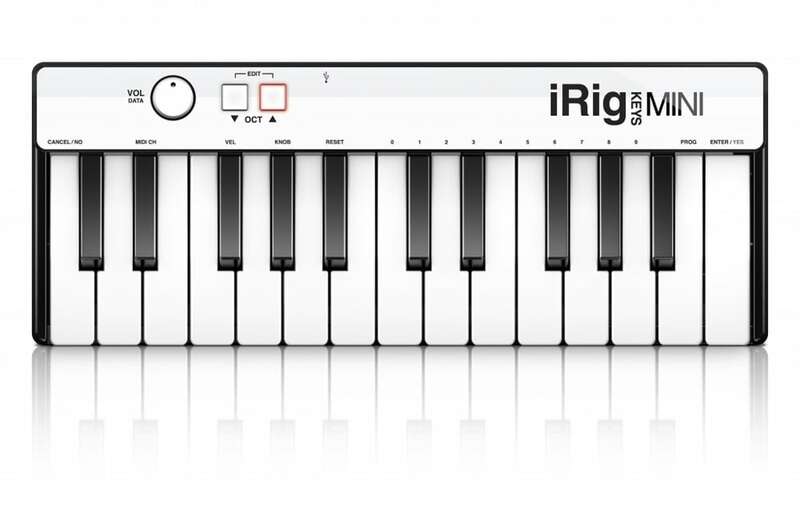 And it works with Novation’s iPad apps, too! 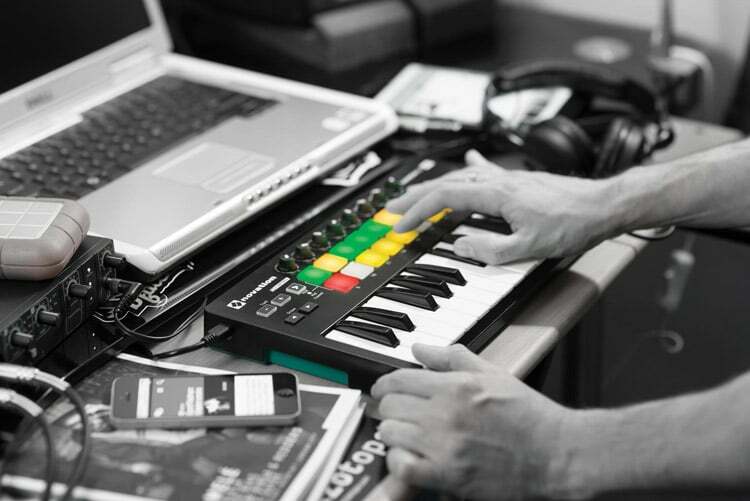 Any way you use it, you’ve got a winner with the Novation Launchkey Mini. 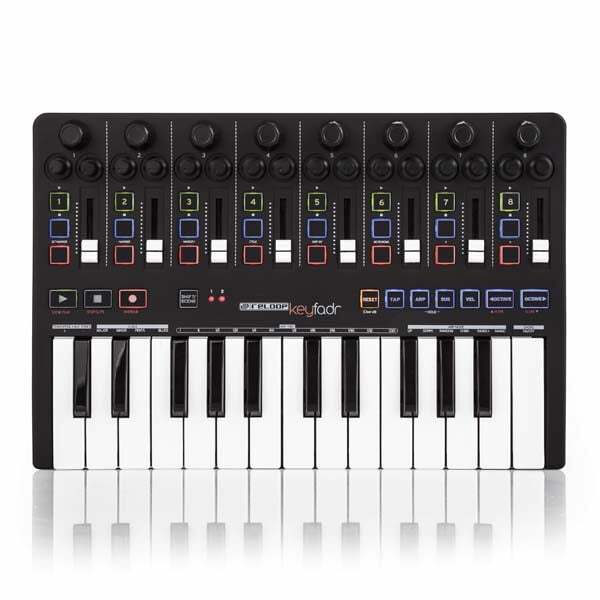 The novation launchkey mini has been through an engineering overhaul and the new mk2 version features a modern black finish with LED backlit pads for visual feedback, and is ergonomically laid out for improved workflow and to look like Ableton’s ‘Session View’ with the midi keyboard providing total ease of use. 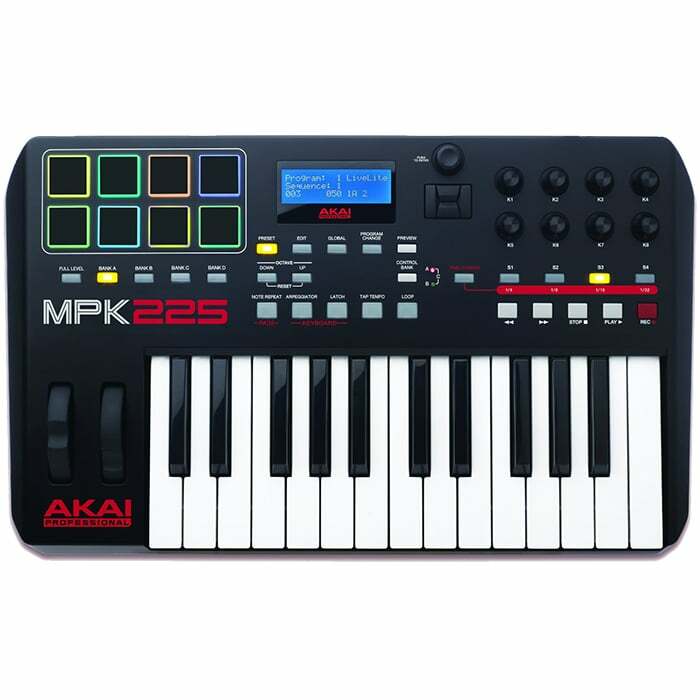 Novation have honed there current range with the MK2. 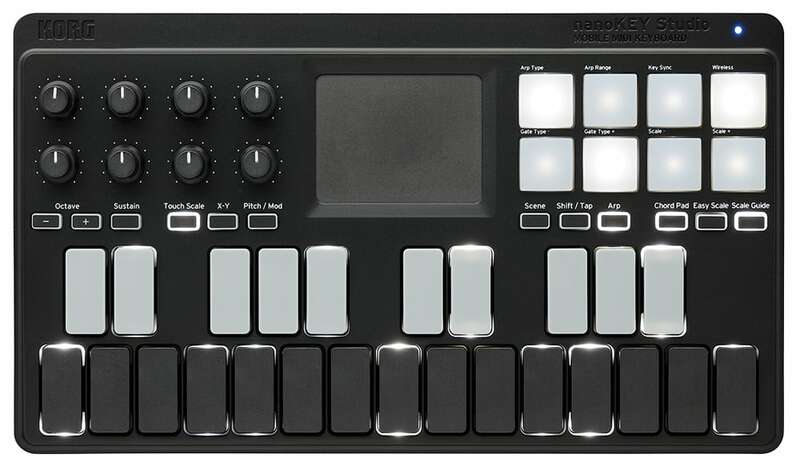 Perfect for aspiring musicians, and producers wanting a portable workstation with professional features and quality build. 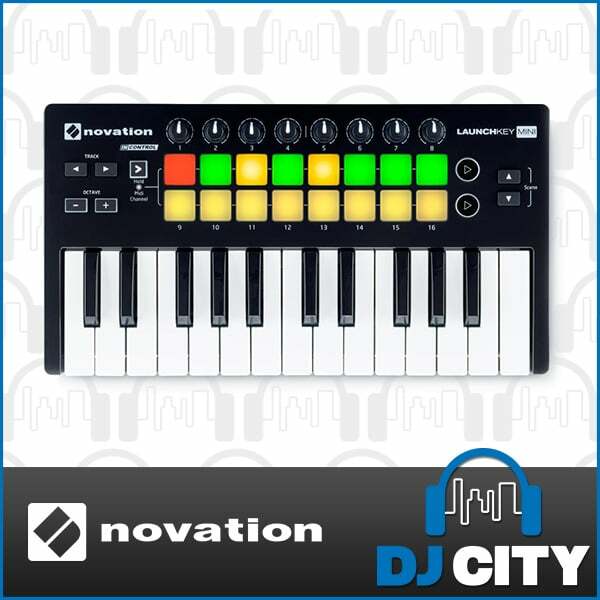 Trust in Novations inovative engineering to get the most out of your physical and digital space with the Novation Launchkey Mini mk2. 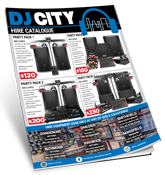 Includes Ableton Live Lite, Novation Bass Station and V Station virtual instruments plus 1 GB of Loopmasters samples. 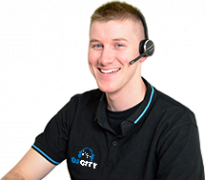 *Camera connection kit or USB camera adapter required for use with iOS devices (not included).